It was 2:40 am on a warm San Francisco night. Sarvshreshth Gupta called his father, sitting thousands of miles away in New Delhi, India. “It is too much. I have not slept for two days. I have a client meeting tomorrow morning, I have to complete a presentation, my V.P. is annoyed and I am working alone in my office,” he said. His father was understandably concerned. Sarvshreshth, 22, was working as an Analyst at Goldman Sachs, and had recently been complaining about his workload. “Take fifteen days leave and come home”, his father urged. ‘They will not allow’, he answered. He told his father that he would work for another hour, then head to his home a half-mile from the office, and return in the morning. At 6:40 am, his body was discovered in the parking lot next to his apartment building. He had fallen from the building in an apparent case of suicide. Sarvshreshth was born in New Delhi, and attended University of Pennsylvania, graduating with a double major in Economics. He’d interned with Credit Suisse and Deutsche Bank before starting work at Goldman Sachs, where he worked as a Tech/Media/Telecom analyst. His time at Goldman Sachs had been rocky from the start. He’d never come to terms with the intense workload, which often involved 100 hour weeks, and no time off on weekends. “Papa, I do not get enough sleep. I work twenty hours at a stretch”, he’d complained to his father early last year. His family was anxious that such a lifestyle was unhealthy, but Sarvshreshth reassured them. “Come on Papa, I am young and strong. Investment banking is hard work.”, he had said. Things got worse post January. “This job is not for me. Too much work and too little time. I want to come back home.”, his father recalls him saying. But his father thought that it was a phase and encouraged him to continue. Things came to a head in March. Unable to cope, Sarvshreshth resigned. He did so without consulting his family. When he later called them to let them know, his father told him that he wouldn’t have wanted his son to resign, but now that he’d done it, he had their full support. His family wanted him to return to India immediately, but Sarvshreshth said that HR formalities would take time. He’d make plans for after he’d have quit. “I will rejuvenate myself, eat home cooked food, walk and go to gym, and finally work with and expand our school”, he had said. Sadly, that time never came. Goldman asked him to reconsider his resignation, and under pressure from his father, he relented. 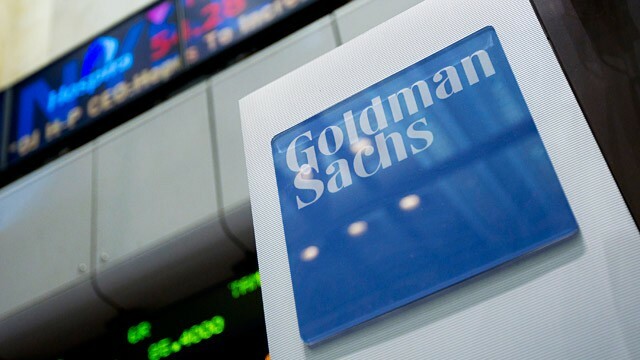 When he returned, he was originally put on a reduced schedule, and Goldman Sachs had him meet with its employee assistance counselors about dealing with work-life balance issues and the stress of the job. It all came to naught in the end. On 16th April 2015, Sarvshreshth took his own life. Such incidents are not uncommon in the world of finance. Just last week, Thomas J. Hughes, a 29-year-old banker at Moelis & Company, was found dead with drugs in his system after falling from a building in Manhattan. In August 2013, Bank of America intern Mortiz Erhardt passed away after reportedly working consecutive all-nighters at the bank’s London office. Last year, a trader in a Hong Kong bank had jumped to his death off JP Morgan’s headquarters.